This is the first in a 3 part series that will give you step by step instructions on how to rank in Google Maps, local organic ranking, and affiliate ranking. November 2018 Update: I have permanently closed the Google business listing used as an example in this post due to it being my home address and having numerous people show up at my door. All of the principles still work 100% effectively. In case you are new me take a moment and explain what I mean by Google Maps. Google maps are what show up at the top of the search results that have the name, address, phone number and may directions and reviews. The value of this should be fairly evident… it is the first thing someone sees when they search for something and therefore is most likely the first thing people will click, which in turn should lead to more business. Ranking in Google maps is essentially a 9 step process. This is by far the most important step… nothing else will work if you don't get this right. Let's start with optimizing your website. To understand Google Business Ranking you need to understand the concept of NAP (Name, Address, And Phone Number). This is how Google identifies that different properties are talking about your site, and in turn how it decides to rank it. It is imperative that these be as consistent as possible. Notice how, instead of typing out “Drive” I just put “Dr”. You want to be as specific with those details as possible. Ok so now that you have your NAP you are going to want to make sure it is visible on your website. Depending upon the layout of your website this will generally go in the footer or sidebar. The next step to optimizing your website is to have a Google Map embedded somewhere on your site. 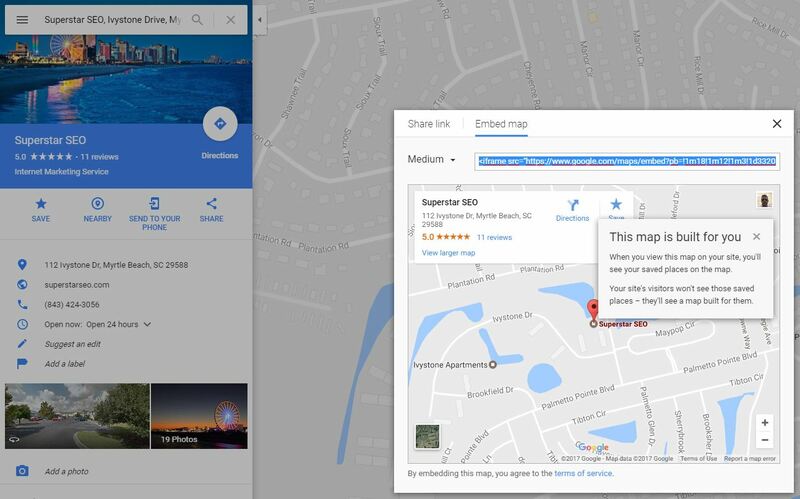 To do this you go to http://google.com/maps search for the address of your business, click “Share”, then click “Embed” the copy the embed code and place in a page on your website. The last step to optimizing your website for Google business ranking is Schema. Schema is a complex topic and could be a course unto itself so I am not going to dig to deeply into here. 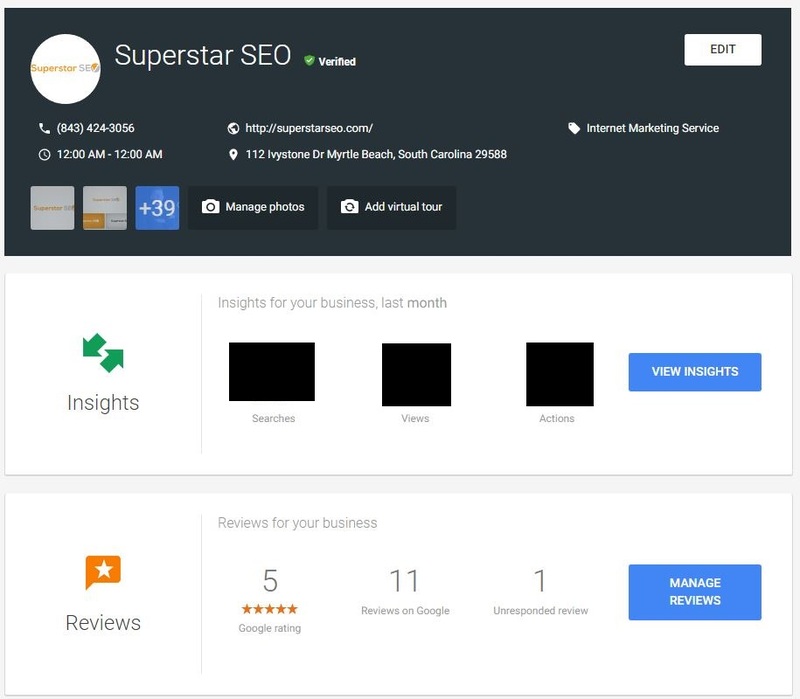 Essentially you want to use the local business schema type that identifies to Google that your site is a local business. Here is a template you can use… just plug in the appropriate information for your business and paste this in your site above the </head> tag. That's about it for your site! Its really not that much and should only take a few minutes. This is the most important thing to get right. Nothing else will work if this isn't done properly. Don't let that scare you though there isn't a ton to it. Sign up with the Google Account you want to use with it. Follow the steps and add your business (it is very straight forward but if you need help Google can walk you through it). Once you enter your business information (remember to make sure you use the exact NAP you will be using throughout your campaign) Google will send you a verification postcard in the mail with a code on it. Come back, input the code and your business will be verified with Google. Now on to the important stuff to rank in Google Maps. You'll notice a few key things here. At the top notice how I have the exact NAP I mentioned earlier. I can't stress this point enough that those have to be consistent. You will also notice that I have my category listed as “Internet Marketing Service” you want to get as close as possible to your type of business when you are picking this during setup. The last thing we want to do here is to upload as many images as GMB will allow you (I phrase it that way because the amount changes pretty regularly). Before uploading the pictures however you want to geo-tag them. Essentially this means that you are going to alter the properties of the image so that Google knows what business it belongs. There are a number of ways to do this but the easiest one I have found is to go to http://geotag.online sign up for a free account and use it to geo-tag your images. All you have to to is enter in the address, and upload the images. It will then geo-tag them and give you a .zip file with your newly tagged images. You can do up to 20 at a time. This is by far the easiest method I have found for geo-tagging. That's about it for step #1! It seems like a lot but you should really be able to knock out most of this in a couple of hours work and this is, by far the most tedious part of ranking in Google Maps. As with any of this if you have questions just ask in my Facebook Group! 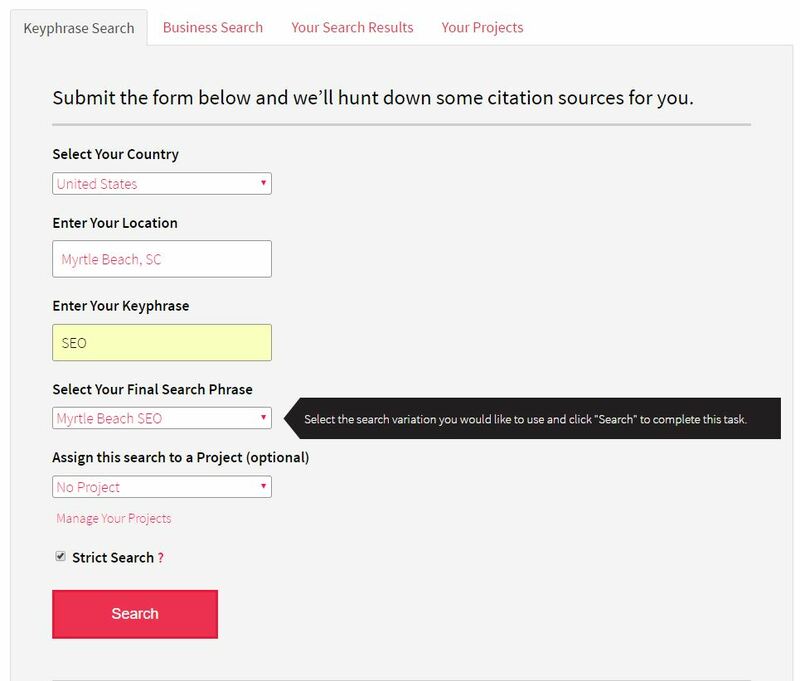 A citation is any site other than your own that has your NAP and a link back to your website. These build a network of powerful sites that tell Google that you have a legitimate business that deserves attention. I suggest everyone go through and create these for yourself at least once but after that it is best to outsource them as it is a long and tedious process and one you can't afford to get wrong if you want to rank in Google maps. To outsource them you simply go to this service. Give the vendor your business information and he will take care of the rest. This way you know you have someone that is trained and experienced in citation creation handling this for you and you can move on to other things. It is worth mentioning that you should use this service for the next step in our “How To Rank In Google Maps” Road Map. The trick to leveraging the power of citations is to first make sure you have the foundational citations, then find out what other citations the top 3 sites have and get as many of them for your site as possible. Click Search and wait for it to finish and it will pull up the top Google map listing results. From there you compare it to the citations you have and just create the ones that you are missing. You can either create them yourself or go to a citations vendor. Most of them like this one will let you give them a custom list. Google Custom Maps is a powerful technique to rank in Google Maps it will also help your site with organic rankings, video & image rankings, and they will even rank in their own right. 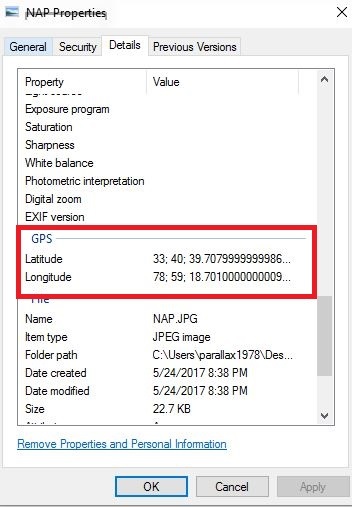 I am not going to go into a step by step tutorial on this as there are plenty of videos out there on this but essentially you go to https://www.google.com/maps/ click “Create A New Map” give it a name with your keyword or a variation of your keyword. Put in your address and a description and save it. Also you want to make sure you make it public. That probably sounds a bit complicated but it's really not. It is time-consuming, however. And to take full advantage of this you are going to need about 100 – 130 of these. The best thing to do is to have someone do them for you. This service works really well and I strongly urge you to get the extras to add your picture and video as well as getting them boosted. This is a really powerful ranking tool and can really give you an edge on competitors that aren't familiar with this technique. The number in parenthesis is the number or Google reviews each site has. It is important to have at least 5 (this is when the stars will appear) and more than your competitors. You can get these through a variety of methods. Ask your clients/customers to leave you a review. This is easy enough to ask, but getting them to follow through can be a challenge. Ask friends and family to fill them out. Get a service that specializes specifically in this to do it for you. I have only ever found one service that creates these in a believable way, and that makes reviews that actually stick. If you are having trouble getting reviews then I urge you to use this service. This is probably the easiest step but it is also the most expensive. What I mean by local authority sites is things like your local Chamber Of Commerce, Better Business Bureau, donating to local charities that give you a link on their site, and any professional organizations that the site may be a part of (for example if it is a lawyer you can get a link from the state bar organization and so on. Most of these are pretty costly but they hit like a truck and are well worth the investment. PBNs (Private Blog Networks) and guest posts are the most powerful way to rank your site in the organic search listings. But they also play a big role when you want to rank in Google Maps. The key to leveraging PBNs/Guest posts to rank in Google maps is to use exact match anchor texts. 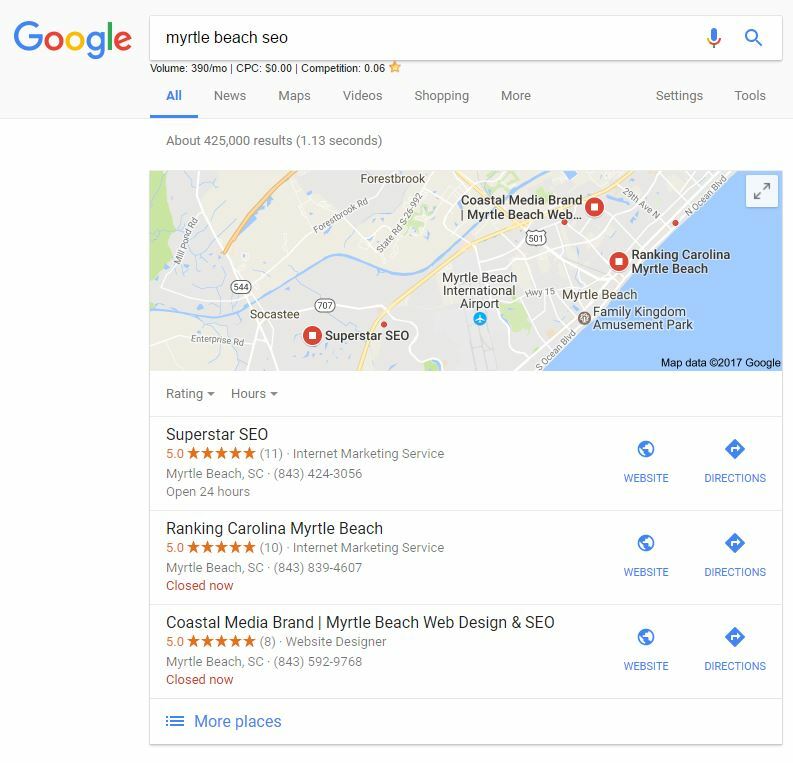 Continuing our Myrtle Beach SEO example let's take a look at how many exact “Myrtle Beach SEO” Anchors my site has. 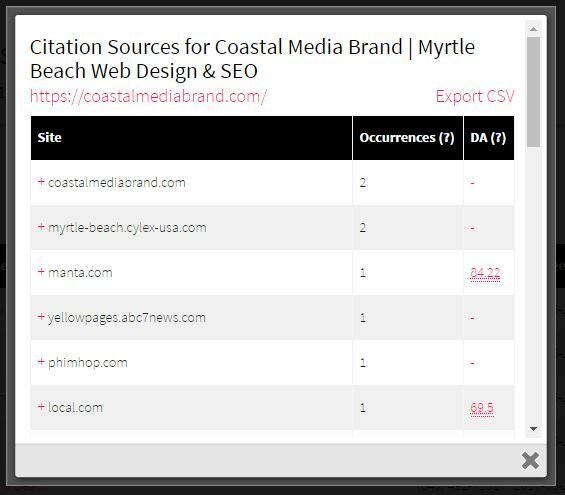 That purple section that is 20% is the percentage of links pointing to my site with the anchor text “Myrtle Beach SEO” (Side Note: This is WAY too much for organic and I am actively working to break it up some; my point is don't go that overboard with it). 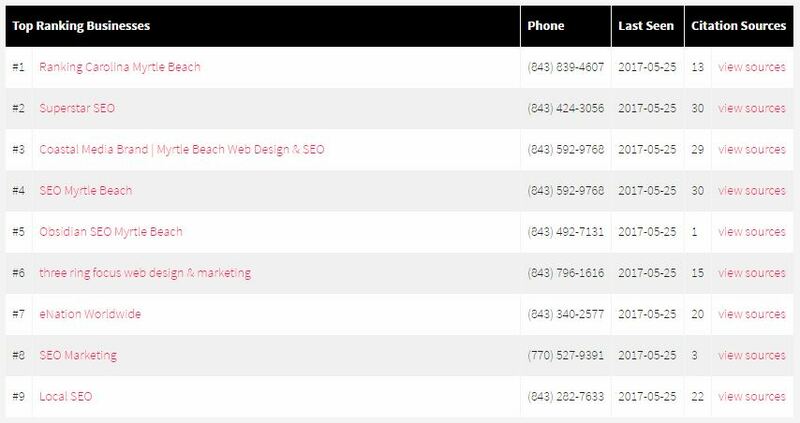 That red 4% is the “Myrtle Beach SEO” anchors of my closest maps competitor. This is consistent across dozens of sites I monitor. While I strongly urge you to create your own PBNs I know that is a large expense and may not be something you are ready to do right away. When you are ready to I suggest you buy your domains from this vendor. I know him personally and know he puts a lot of care into selecting good domains. His prices are excellent as well. This seller can also help you with guests posts. In the meantime, the best PBN links vendor is without a doubt ME! One order from him should be more than enough to get you the anchor text you need. The next how to rank in Google Maps factor is Google Map embeds. This is one of the easiest steps to accomplish but it packs a nice punch. Earlier I showed you how to embed a map on your website; well this works the same way. Go to Google Maps to retrieve the embed code for your business. Then create posts on web 2.0s and PBNs using your keyword as the title, include a link to your map with the NAP as the anchor text, and embed your map. This is extremely potent and can often give you the last nudge you need to get to the top of the map listings. You can take the time to do this yourself or you can grab this service for $5. I suggest getting the add-on with PBN embeds as well to really help with the ranking power. This final step is a relatively new method but one that has produced incredible results so far. It is a fairly intricate process that involves creating an optimized Google Map, embedding geo-tagged images, doing a Google entity stack, and adding a domain authority stack. Its an elaborate and intricate process and if you do it wrong it can be harmful… but it is generally the last piece of the puzzle to push you up to the top of the map listing. For a better description and a great service to get it done for you I urge you to check out this service. There you have it! A complete A – Z road-map on how to rank in Google Maps! I know that it probably sounds like a lot but you should be able to finish this process in a few weeks if you really focus on it. If your particular situation is unique or you have done the whole process as described and you still aren't ranking, or if you just need clarification on something please join my private SEO Master Mind on Facebook and ask your questions there. Some of the best minds in SEO will be there to help you out!